After our fiasco at Greendrop Lake, we abandoned our hopes of riding another never-been-cycled long distance trail, straight over the mountains. 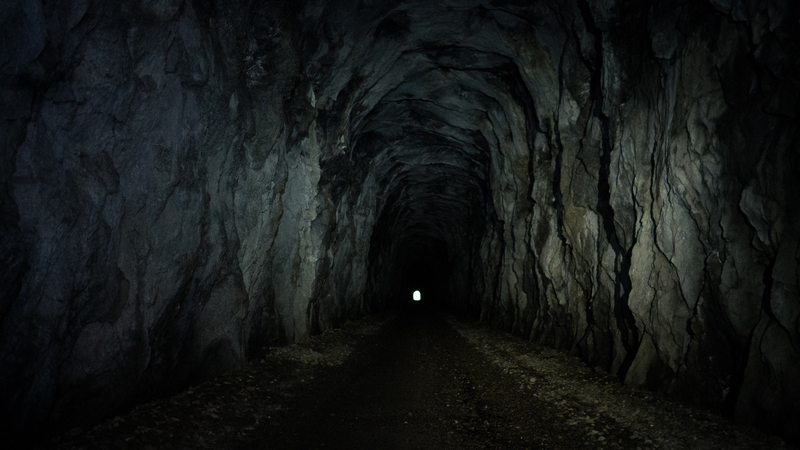 We reasoned that this was close to home, and we could come back on a short trip for that trail. 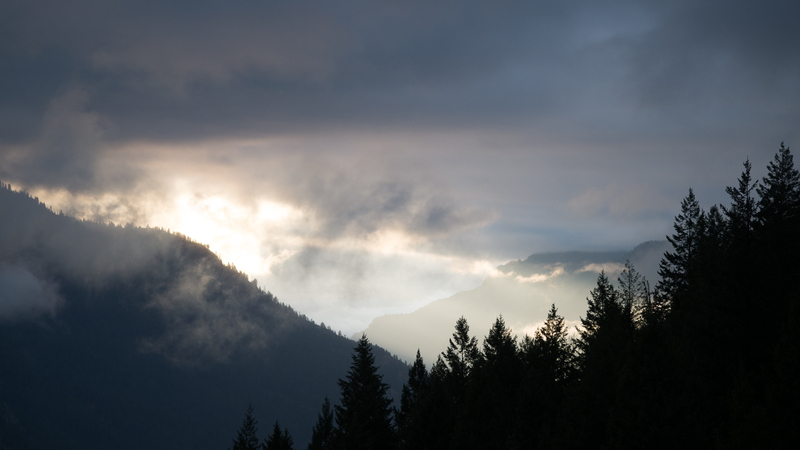 Besides, there was a huge summer storm headed our way – which would drop over 75mm of rain on Vancouver that weekend – and we wanted to get east, into the rain shadow. 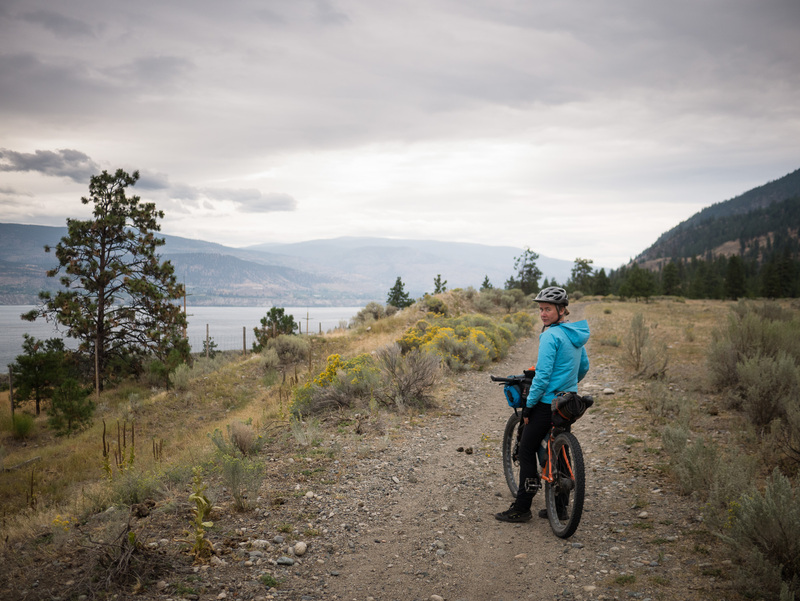 So, though we never intended it, we ended up joining the famous Kettle Valley Rail Trail (KVR) at its terminus, and riding it nearly in its entirety, to Midway, some 600km away. 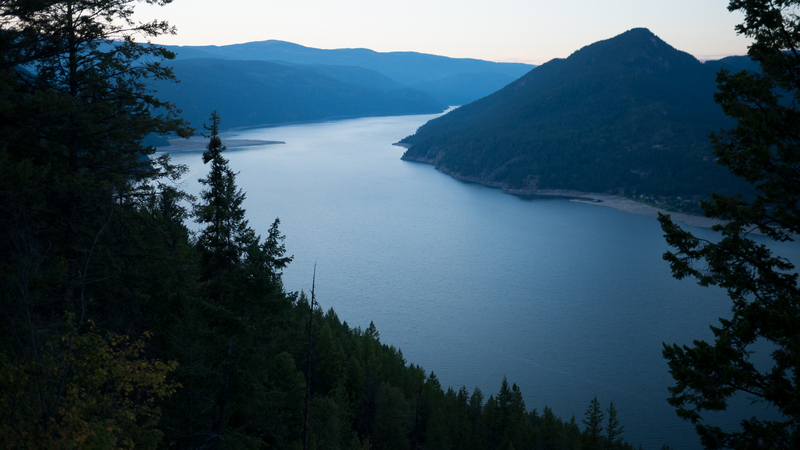 The KVR is a wonderful off-road corridor across BC, with only a minimum of motorized quad traffic in certain sections. 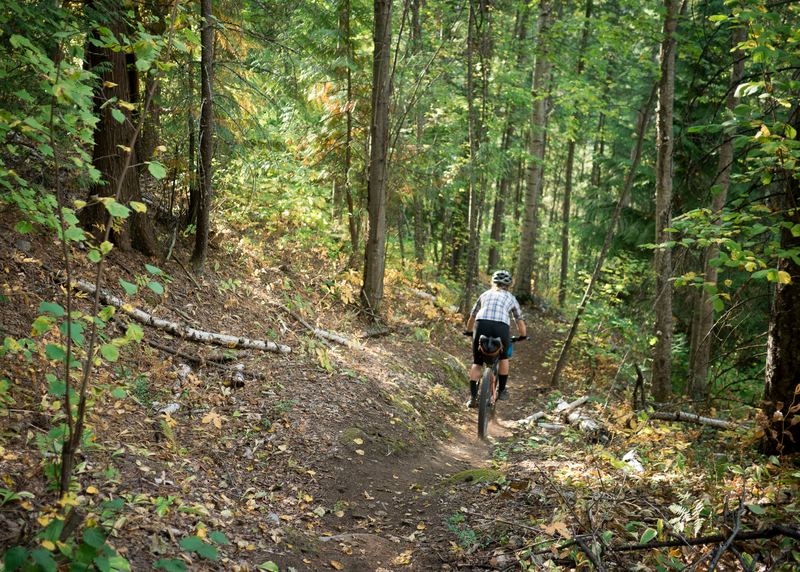 Though we enjoyed the scenery and the mellow, traffic-free riding, rail trails offer little in the way of mountain biking. With grades never exceeding 2.5%, and corners wide enough for a train, the riding is generally boring. I can live with the flatness. There are many great mountain biking trails in the flatlands. But, mountain biking is all about corners. The joy, and mastery, of the sport happens while turning corners. 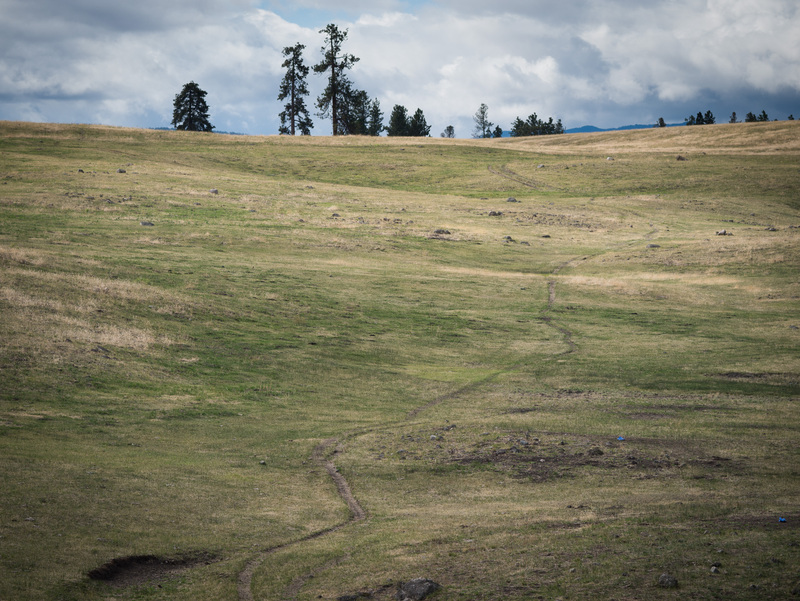 Near Princeton, dead-end cow tracks have us longing for singletrack. 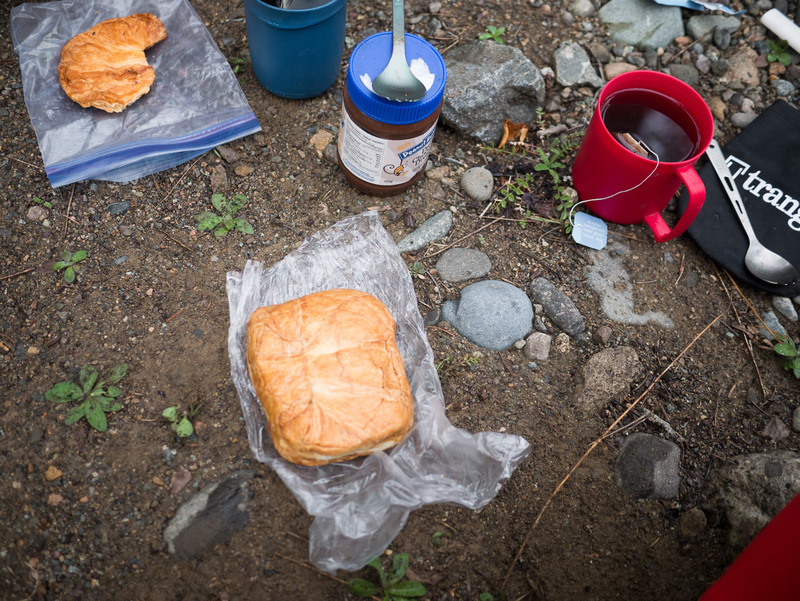 A typical BC bikepacker’s breakfast. Croissants crushed into a brick. A.K.A. ‘crushantes’. 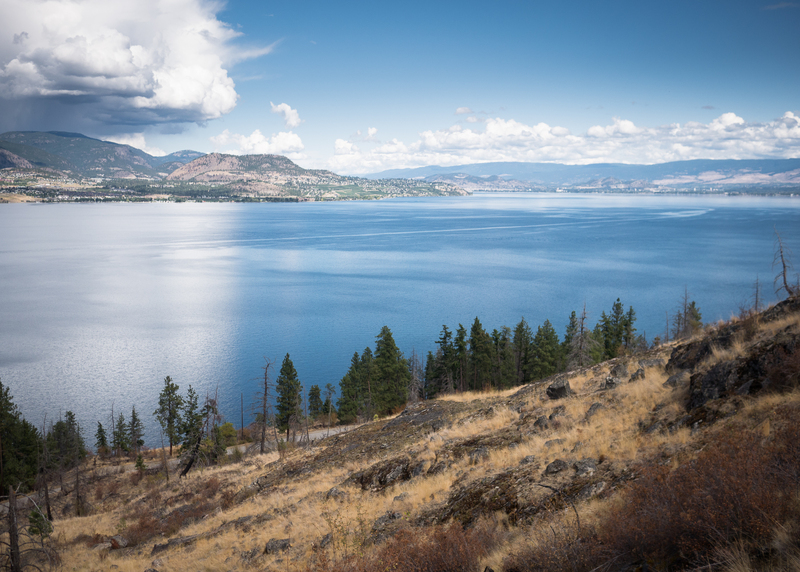 More scenic KVR flatness, above Okanagan Lake. 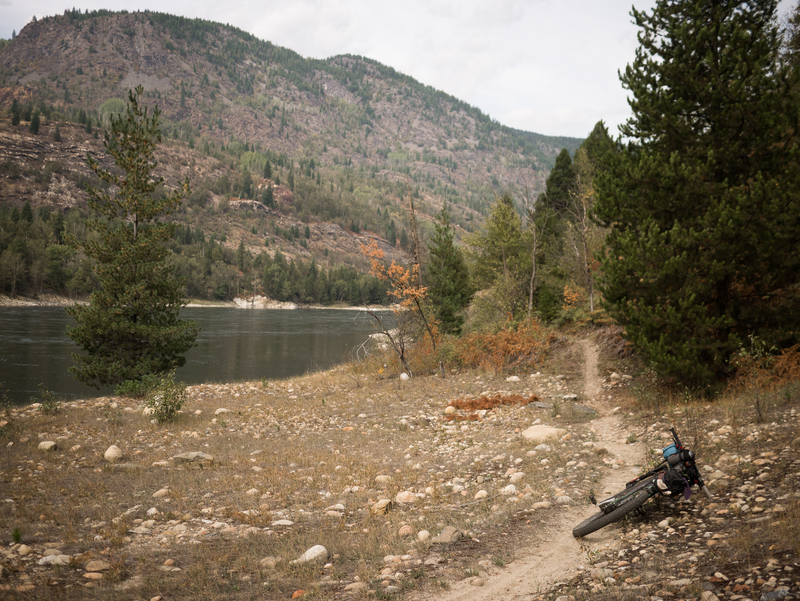 Past Penticton, we finally found a singletrack detour option, through Okanagan Mountain Provincial Park. 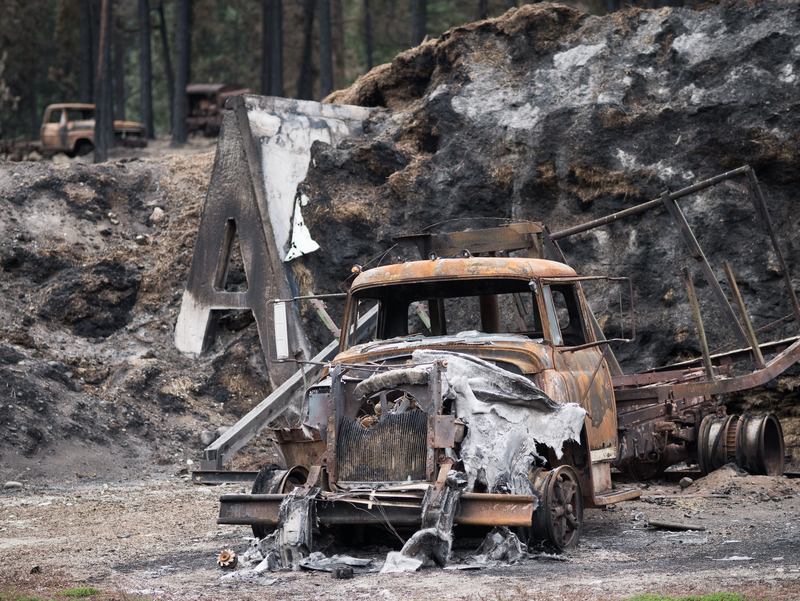 The park was epicentre to BC’s most famous wildfire – the one that burned entire Kelowna neighbourhoods in 2003. 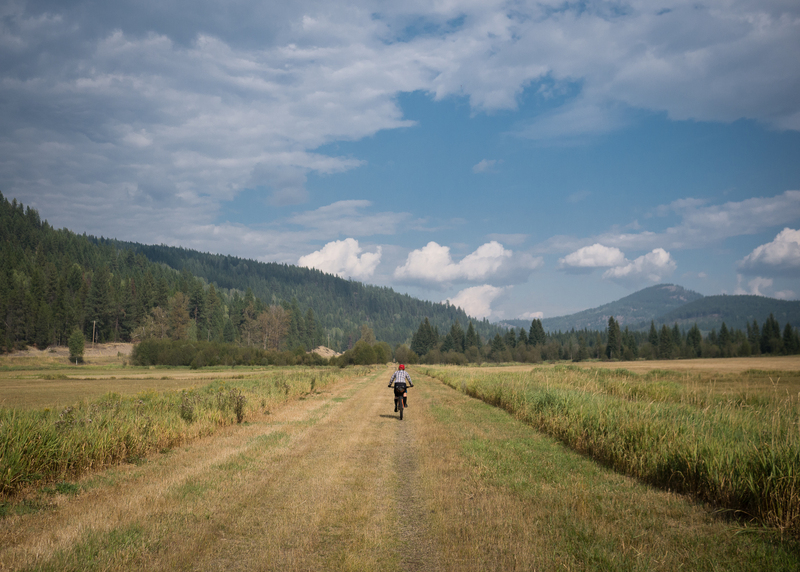 Twelve years on, open scrublands, filling in with willows and young pines, offer scenic riding on a rough, disused 25km trail. As we neared Kelowna, the trail steadily improved in condition, down grading from black diamond difficulty to smooth green circle. The rough, southern end of Wildhorse Canyon trail. 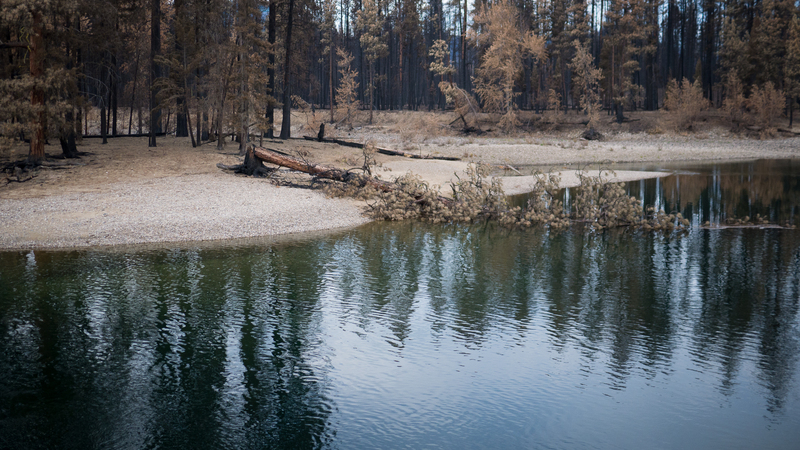 Now at Okanagan Lake level, we made our way out of the ponderosa savana, into cool montane larch forests. Some Kelowna DH riders shuttled us part way up to the KVR and recommended we follow signs labelled “Boulderfields” to a campspot set. 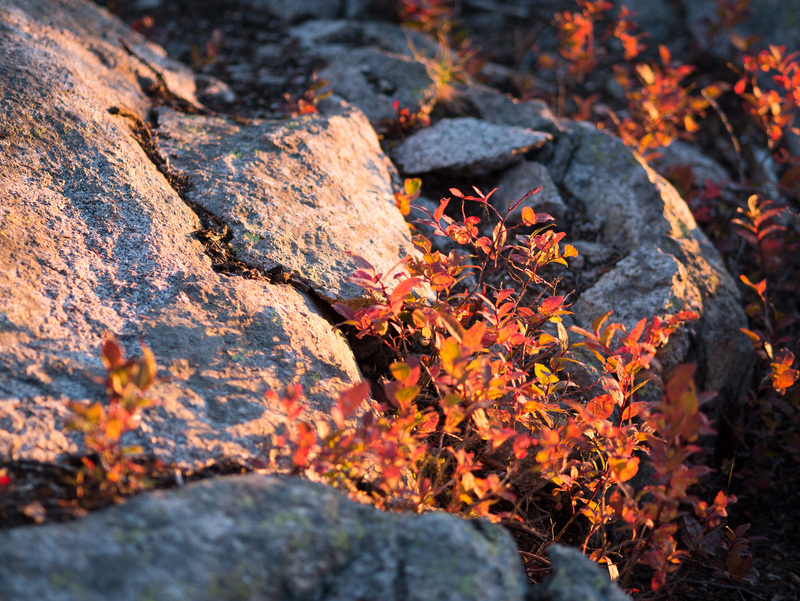 To our surprise, the camp spot was filled with rock climbers, and the signs alluded to BC’s second largest bouldering area (after Squamish) – an endless sea of gneiss boulders, barely developed despite hundreds of established routes, and set in a magical large forest. 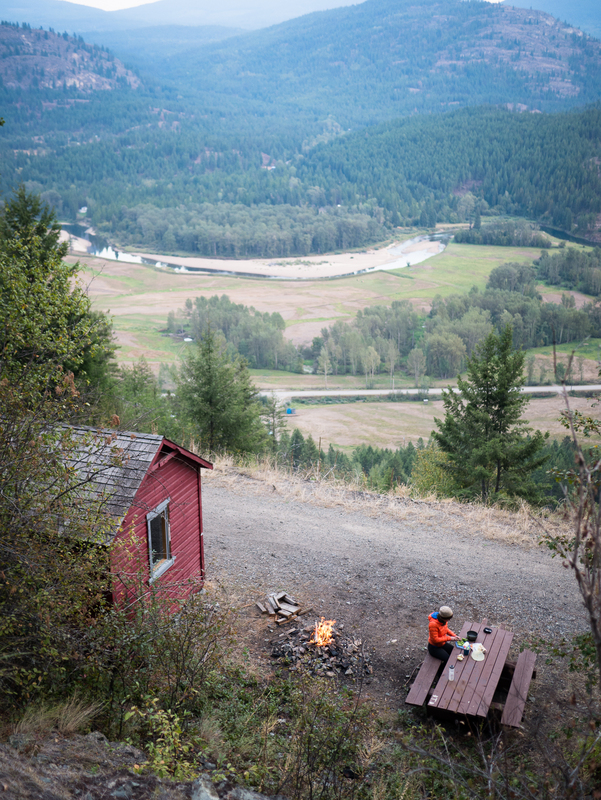 All that, a few minutes above Kelowna, and I’d never heard of it. I guess I never was intrigued by bouldering. A dewy morning and chilled autumnal afternoon had us pulling though famous trestles atg Myra Canyon into the arboreal cornucopia of the Kootenay Boundary. 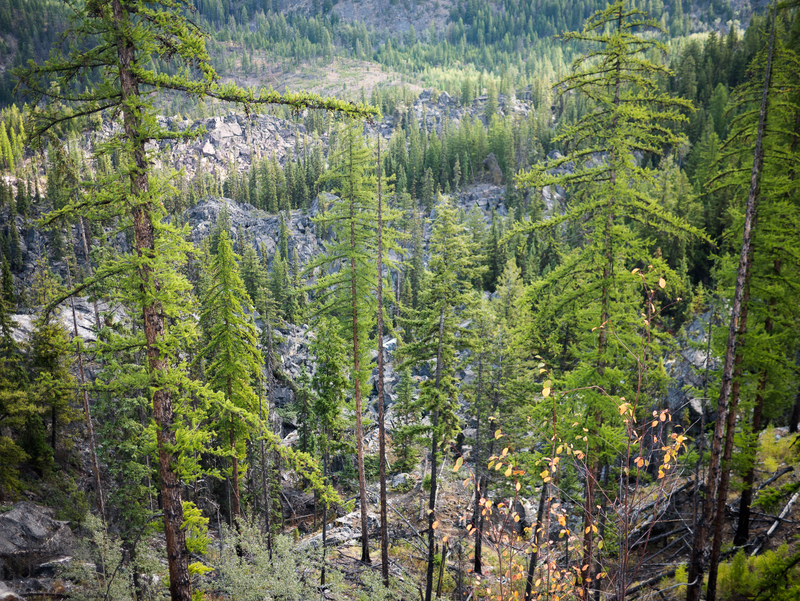 Here, the relative homogeneity of BC’s Okanagan and interior plateau – poderosa pines and Douglas-firs dominating low elevations, giving up only to lodgepole pines and spruce trees higher up – is enriched with a diversity of conifers that even the least biologically-savvy can’t fail to notice. 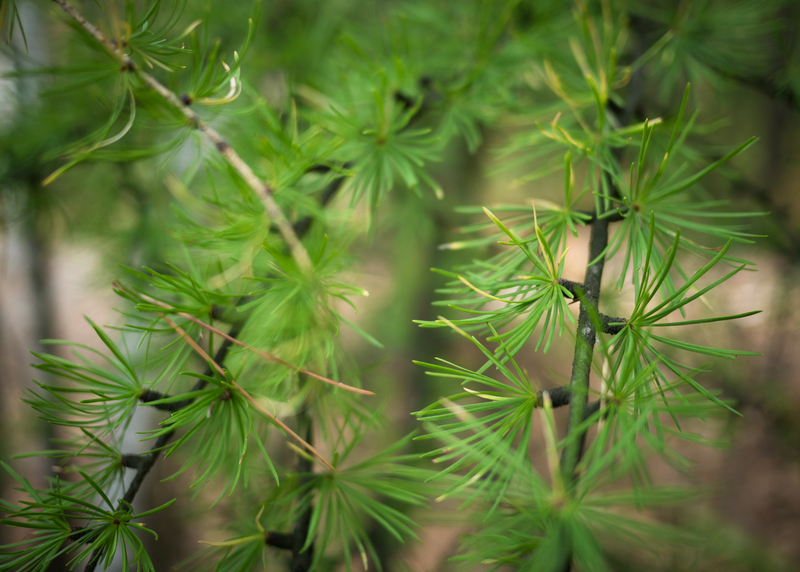 Larches punctuate, at all elevations, with their irridescent greeness. Chlorophyll for any chlorophile. In front, still the orange column of a ponderosa. 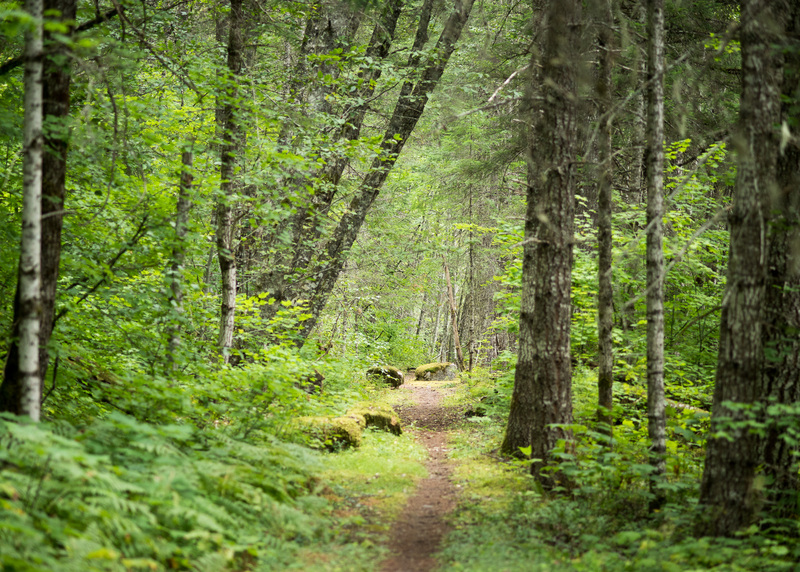 But behind and across, redcedars, yews, hemlocks, Doug-firs, and all the spruce but Sitka. Maples blush a deep red, knowing the approach of an awkward winter nakedness. 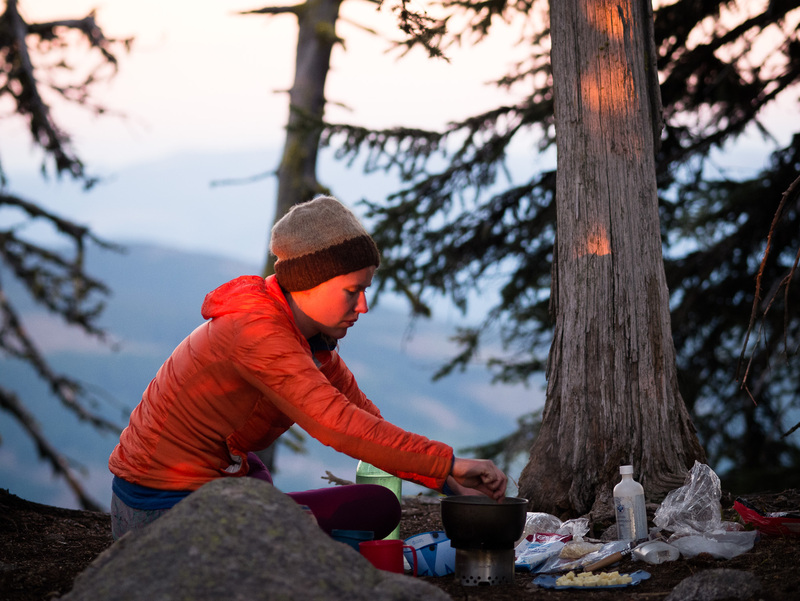 The only ingredients we miss are warmth and culture. Here on summer’s shoulder we awake each clear morning to a wet tent, and see other humans only behind steering wheels and the ocassional cash register. Everyone is tired of tourists, and happy that schools are summoning families back to the cities. Panthea and I occasionally run out of things to talk about, but seldom stop talking. Instead we emit pointless noises at each other in repeating patterns, making sure rob the last breath from even the un-funniest jokes. We’re happy together, and especially when it’s warm out. But something is missing from the rural southern reaches of our province. There is neither the unfamiliarity of culture nor wilderness to fill us with awe and inspiration. 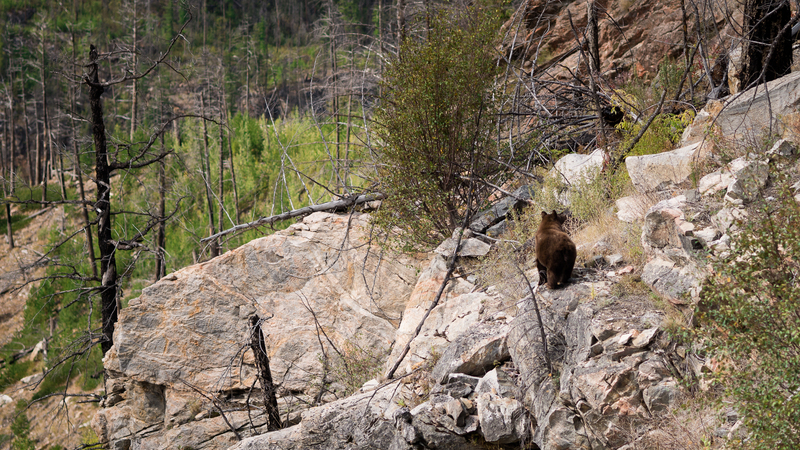 Bears, yes, and vast forests, but not the soul-shaking immensity of the Coast Mountains. Most of the people here are caught in the same school-car-marriage-house-kids-motorboat-motorhome-kitchenaid-electric toothbrush-motorized electric wall-mounted can opener-gated community-retirement-death-by-plastic cycle that has so enslaved my country. Meanwhile, they rile only in defense of the con-artists that rob their lives in the name of neoliberoconservativism. White privilege is sympathizing with a exploitative elite and still being able to live a comfortable (if empty) life. 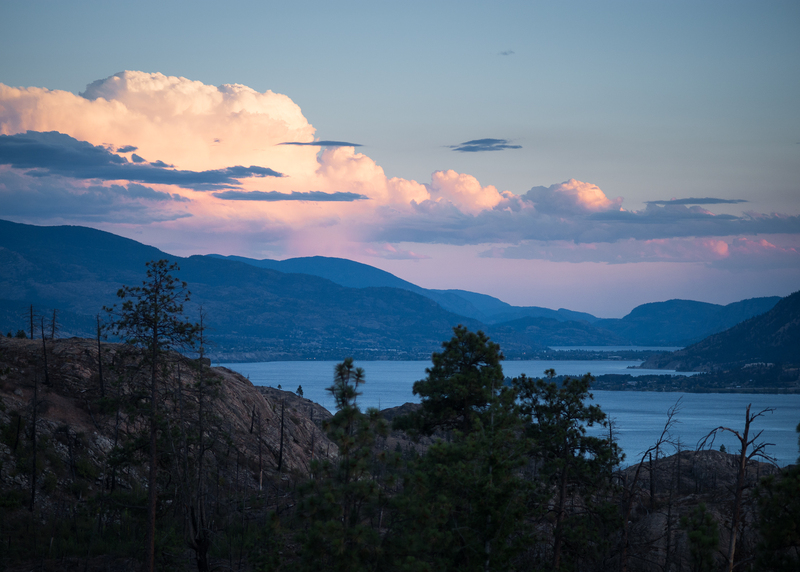 The exceptions to this phenomenon are found more frequently in the Kootenays, and especially in Nelson, where we met captivating personalities in a town full of character. 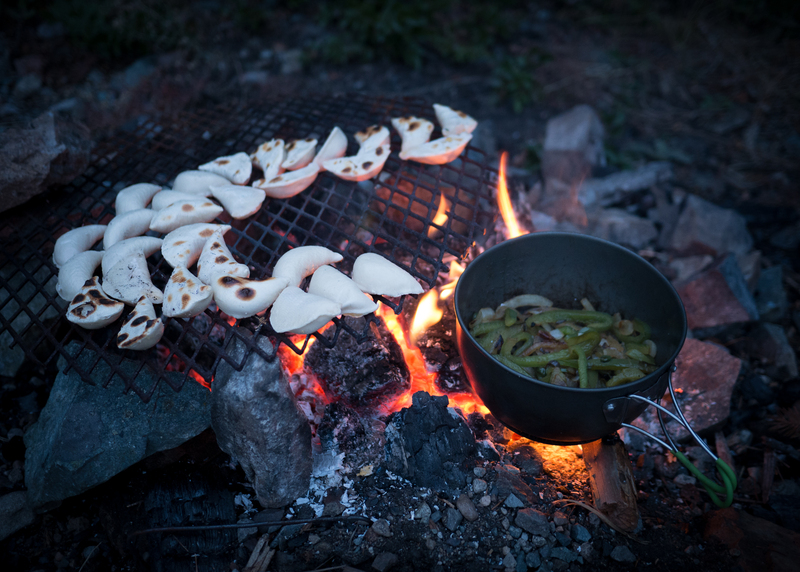 …and cooked frozen perogies on the fire. A delight! Another foray onto devine singletrack breathes momentary momentum back into our eastward travel. 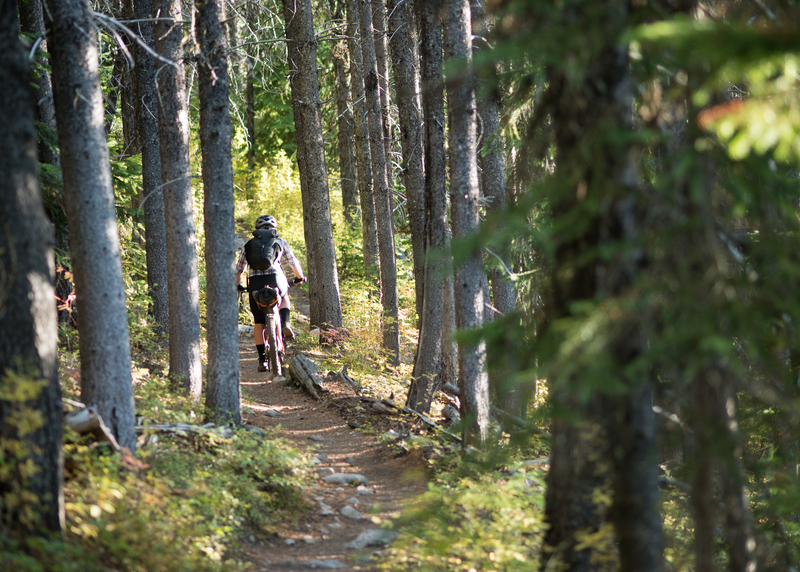 A perfect night and day up on the Seven Summits Trail above Rossland flows so naturally into a trip up the Columbia Trail between Trail and Castlegar, and then more singletrack along Skattebe Reach toward Nelson. But in Nelson we learned our map had lied, and only a narrow highway would take us further east. We’re meant to be passionate cyclists, but we still loath to ride on highway shoulders. Bikes are only fun in the absense of cars. 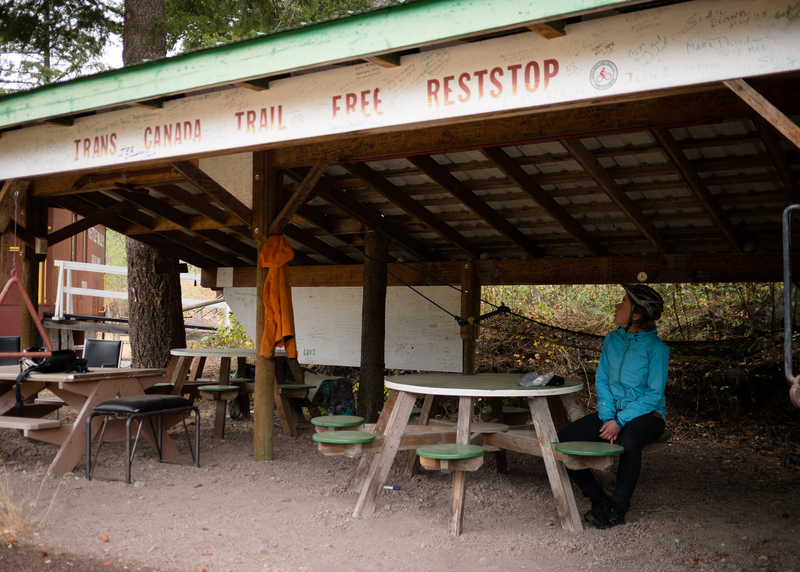 A few factors conspire toward a sudden change: the forecast promises endless cold rain, except where it falls as snow, and we find a ride back to Vancouver for the next day. White privilege is deciding to fly to Arizona when you’re sick of the weather. 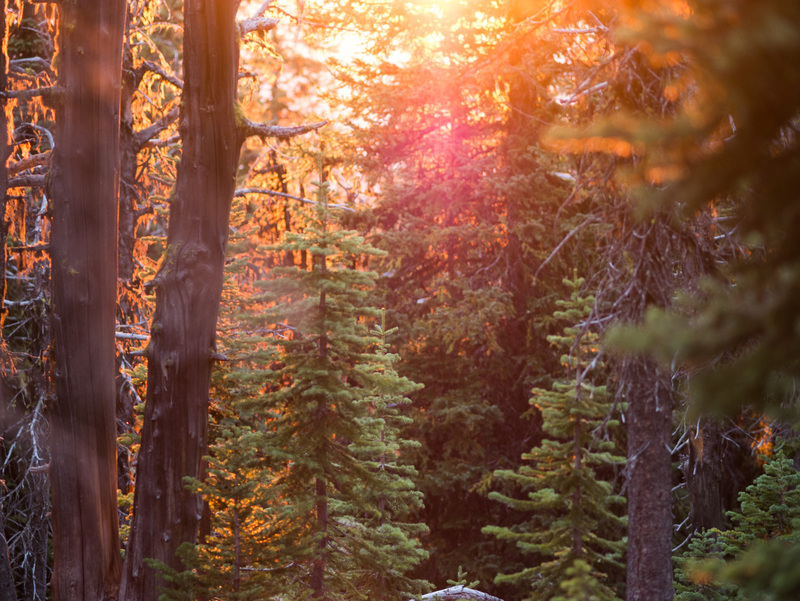 …to a perfect camp spot near the first summit. 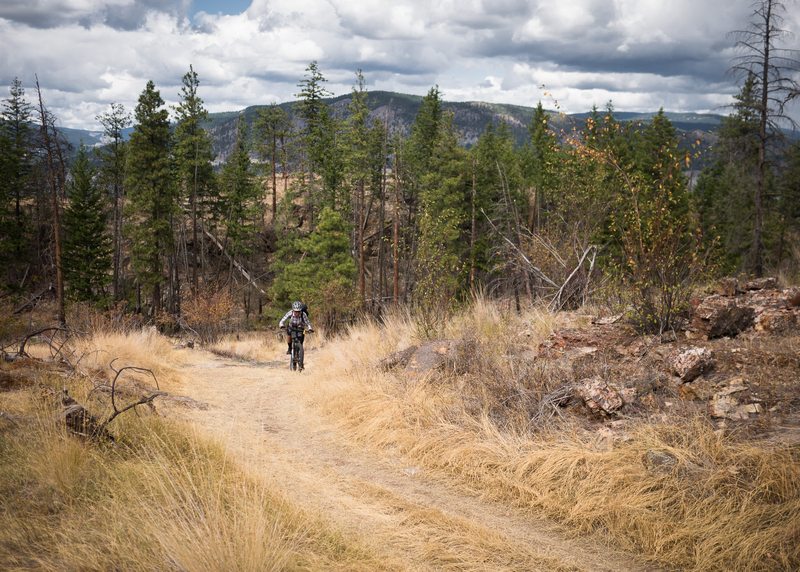 …with 35km of top notch riding got us re-excited about staying north of the border. I’ve been using some $35 Gravity Vidar tires, purchased on Amazon, and they’ve been a real upgrade in traction from the Knards. 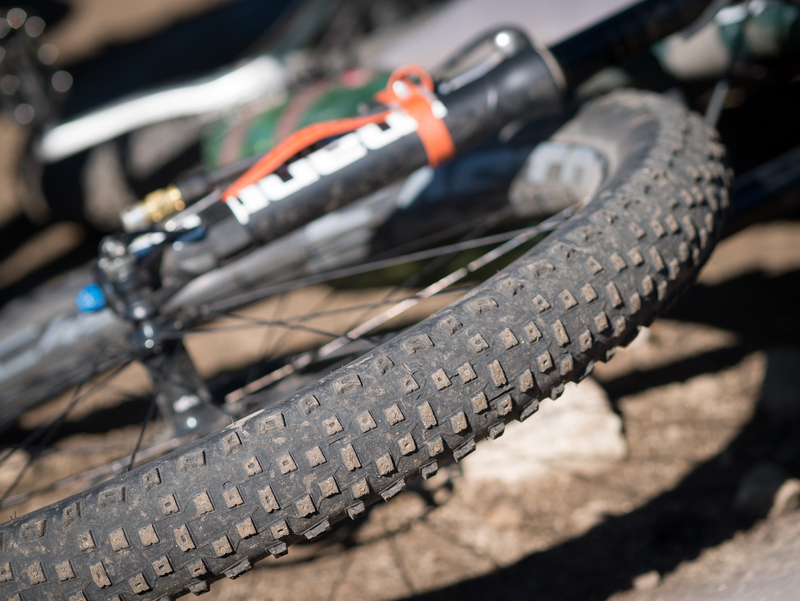 Made, like Surly tires, by Innova, these ones combine the super-thin 120tpi casing, with a more affordable wire bead. Their lack of sidewall protection makes them less suitable in areas with sharper rocks. Larch needles explode from nodules. Chaotic, but not haphazard. 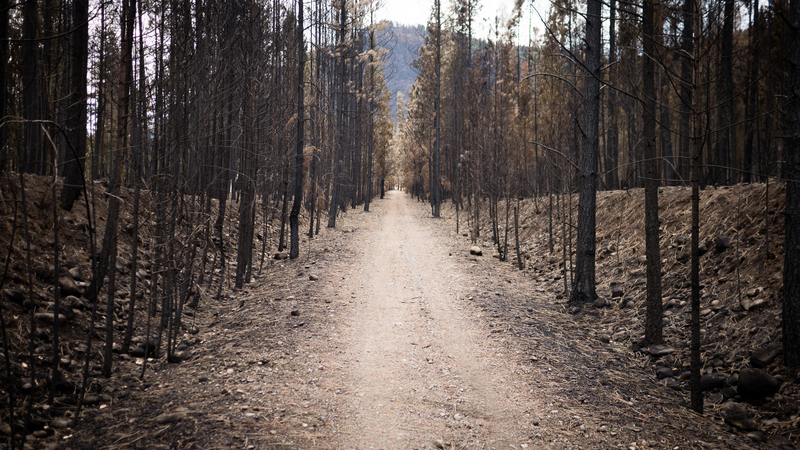 The Columbia Trail connects Trail and Castlegar, opposite the highway. 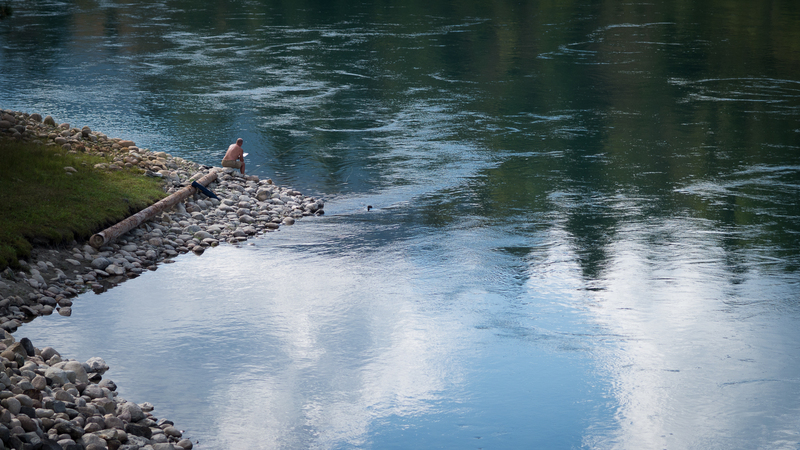 A fishing hole at an old Doukebour townsite remains idyllic, despite the passage decades. …and when the good riding runs out, we make new plans. Kidding aside, we really did hitch back to Vancouver and, days later, catch a flight to Las Vegas. 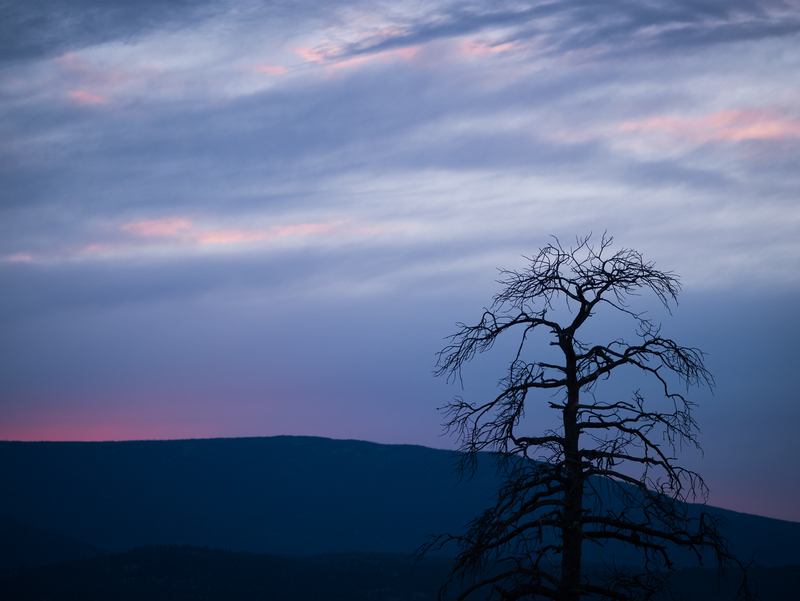 We’re riding the Arizona Trail from north to south, with some scenic detours. Stay tuned for those stories in the coming weeks. In the meantime, you can follow some micro-blogging updates, and keep more up to date, on Instagram. There is no shame in heading south for the winter. Magnificent photos and compelling commentary. I suscribed to this blog nearly 2 months ago and I being amazed by the histories behind this, the routes and the experiences told here. Greetings from the north of Chile. I’ll admit, I’ve never towed a single-wheel trailer. I like the way my bike handles on trails using bikepacking bags. Still, many people have had great success traveling with Bob trailers, and I’m confident you’ll have a wonderful time on the Carretera Austral, no matter the way you carry your gear, so long as you can avoid bringing too much stuff! Divide Lake Trail looks promising but just moved here so I don’t know the area. 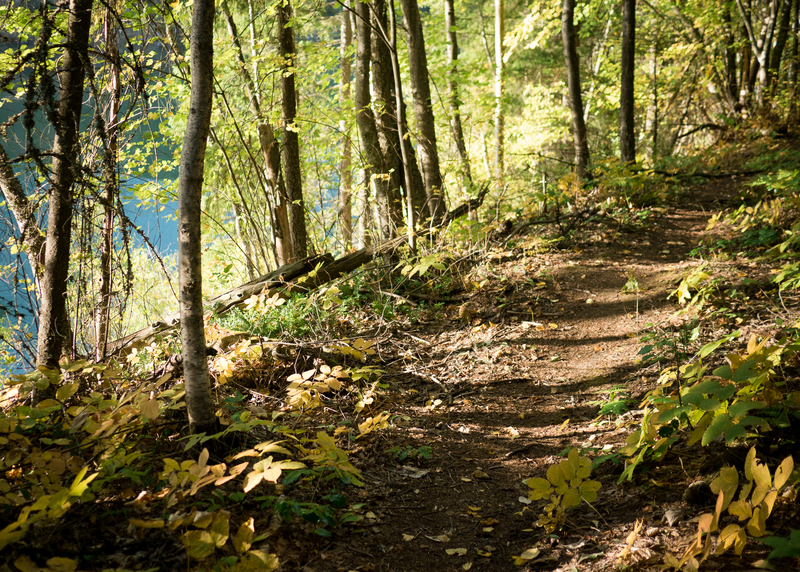 The trails in OMPP are mostly not very well maintained. 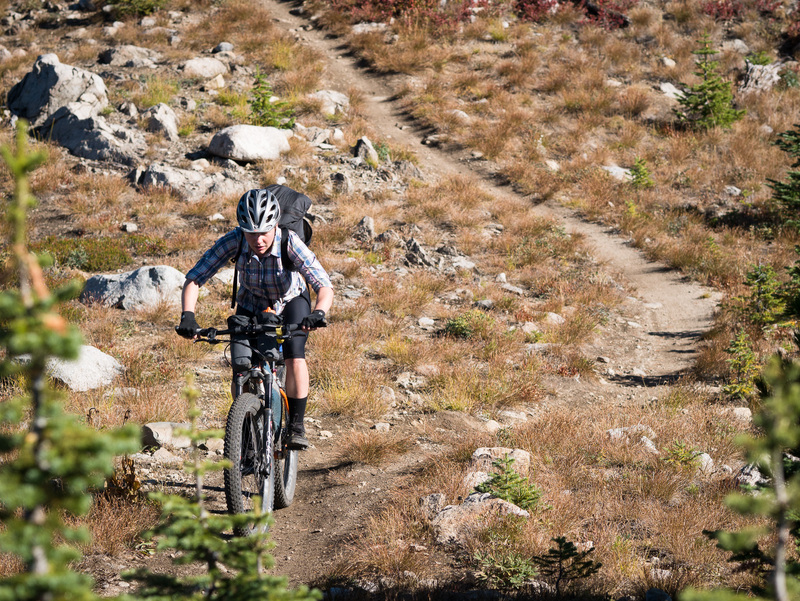 If the “intro to bikepacking” entails taking experience mountain bikers on their first multi-day ride, it could work. Might not leave them terribly impressed though. 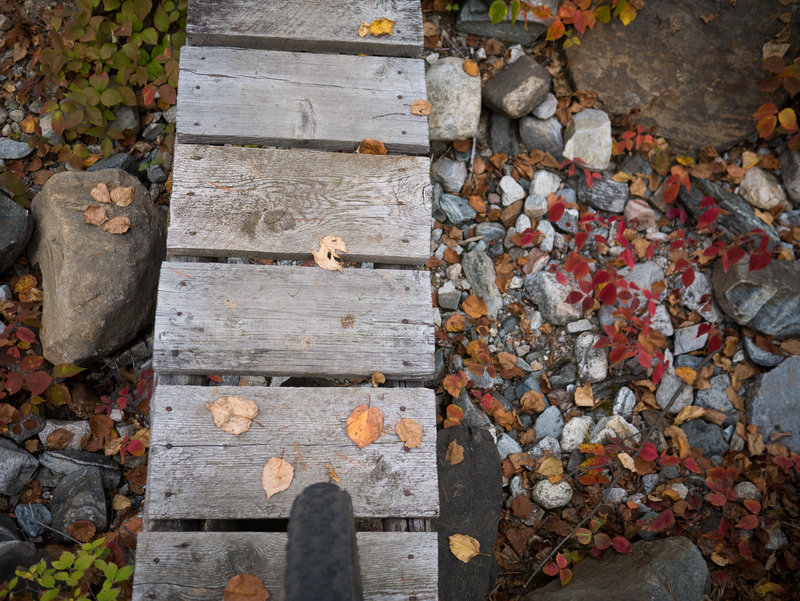 It’s not as hard as many other singletrack options in this province, but the southern half is not of the highest quality. 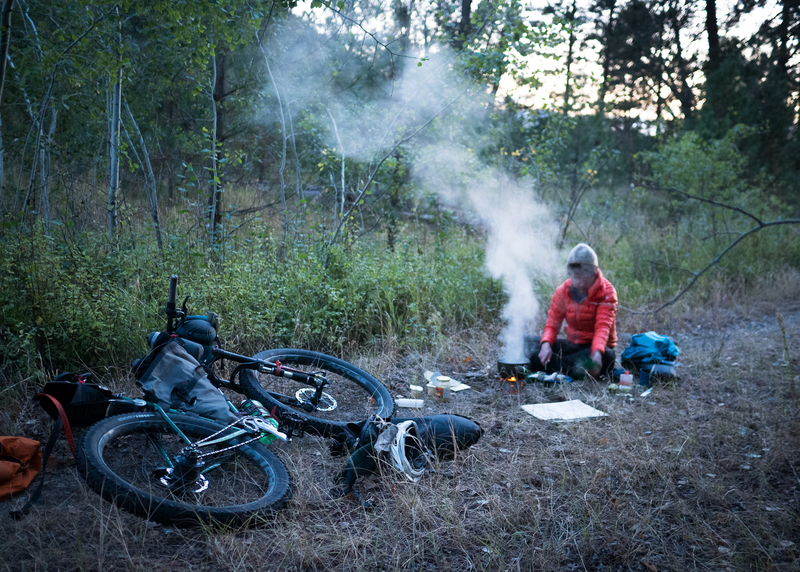 BC is not a terribly good place for beginner-friendly bikepacking. 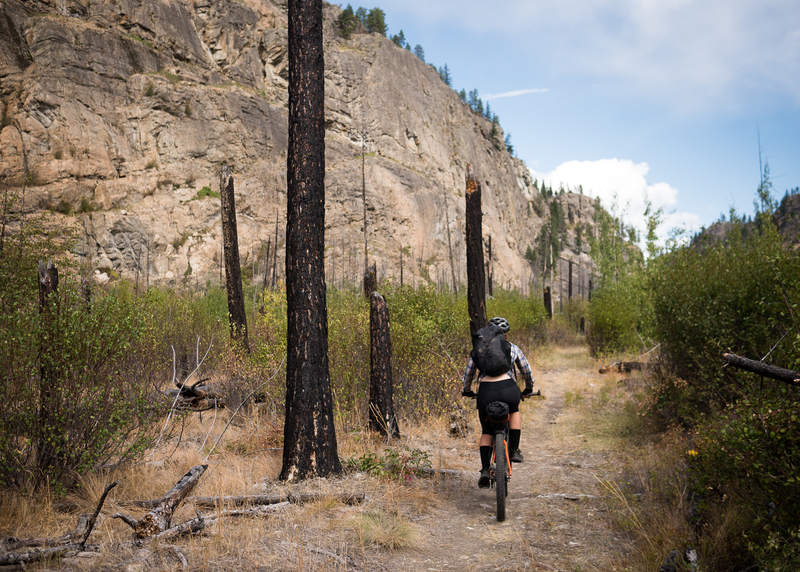 There are plenty of dirt roads to offer dirt road touring options, but as soon as you add any long distance singletrack, it’s invariably on steep hiking trails and involve a lot of hike-a-bike. Takes a certain mentality to find that fun. 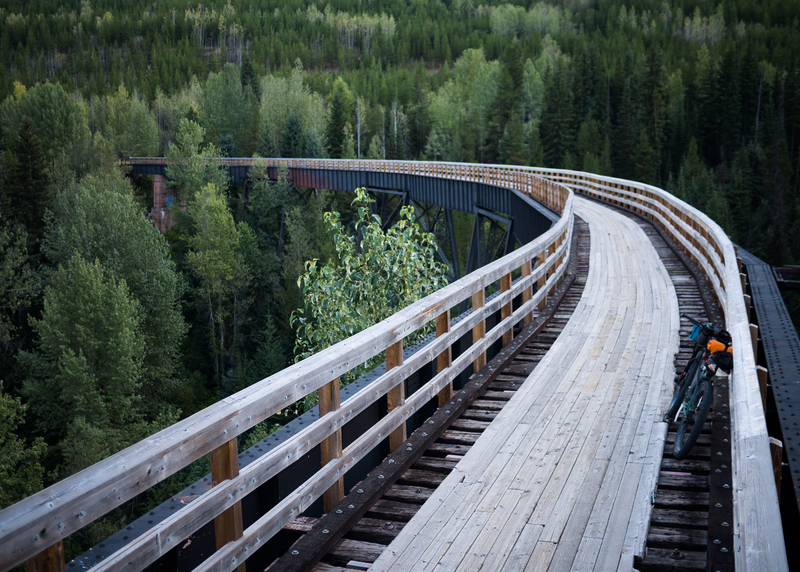 There is nothing between rail-grade KVR, and burly backcountry pushwhack in the Chilcotins, that lasts more than a day. Chilcotins stuff is relatively easy by BC standards too. 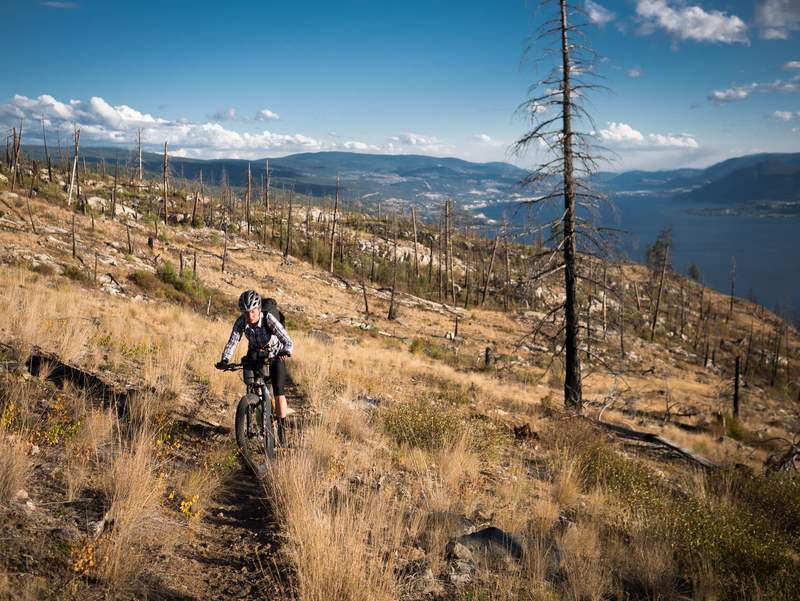 It will be interesting if the Okanagan Highline trail gets cleared again – maybe that wouldn’t be so bad. We didn’t go up the Divide Lake Trail, but I seem to recall it was 2-track. 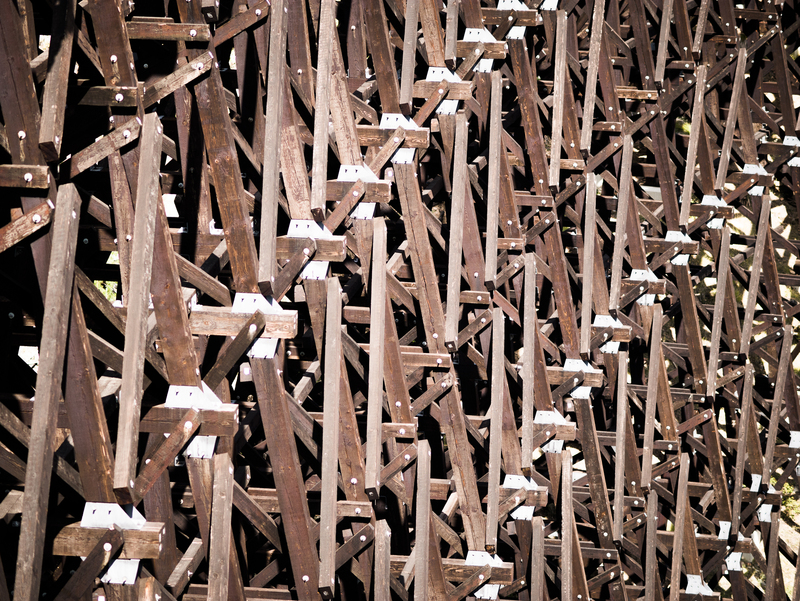 Might be a perfect way to gain elevation. Otherwise, if you can quad trail networks, or other dirt roads that don’t have any logging traffic, that might be the best compromise.